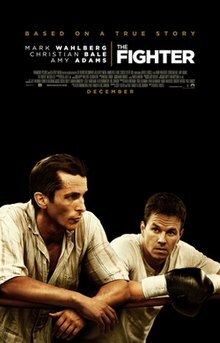 Posted on January 22, 2011, in movie review and tagged "Irish" Micky Ward, academy award, Amy Adams, batman, christian bale, David O. Russell, Dickie Eklund, Equilibrium, Eric Johnson, forest gump, Hoyte Van Hoytema, Jesus, John Conner, Mark Wahlberg, Melissa Leo, Micky Ward, oscar, Pamela Martin, Paul Tamasy, Scott Silver, Sheila Jaffe, the fighter, vietnam war. Bookmark the permalink. 1 Comment.